More than one million people of Iranian origin living in the US, the legal battle over President Donald Trump's proposed ban has created months of anxiety for families. 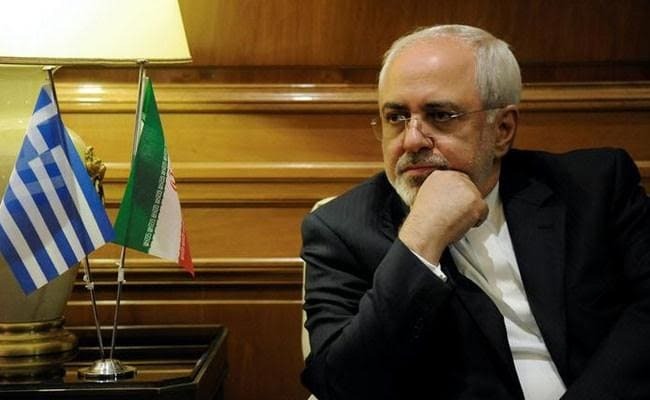 Mohammad Javad Zarif said that the new US ban on travellers from 6 Muslim countries was "truly shameful"
Tehran, Iran: Iranian Foreign Minister Mohammad Javad Zarif said on Friday that the new US ban on travellers from six Muslim countries was "truly shameful". "US now bans Iranian grandmothers from seeing their grandchildren, in a truly shameful exhibition of blind hostility to all Iranians," Zarif tweeted. The temporary ban, which came into force late on Thursday, prevents people from six Muslim-majority nations from entering the United States unless they have a "bone fide" connection to the country. That includes parents and siblings, but excludes grandparents and grandchildren, aunts and uncles and others. With more than one million people of Iranian origin living in the US, the legal battle over President Donald Trump's proposed ban has created months of anxiety for families. Trump says the 90-day ban on visitors from Iran, Libya, Somalia, Sudan, Syria and Yemen -- and a 120-day ban for refugees -- is necessary to block terrorists from entering the country. Many Iranian-Americans tweeted with the hashtag #GrandparentsNotTerrorists to voice their opposition. "This is my lovely grandma... does she look like a terrorist to you?" wrote Elham Khatami, of the Washington-based National Iranian American Council -- one of many who tweeted pictures of their grandparents.